Quick, convenient and powerful cleaning. The EyeVac Professional by Sibel is an unobtrusive, modern solution to keeping your floors looking pristine, even on the busiest days. 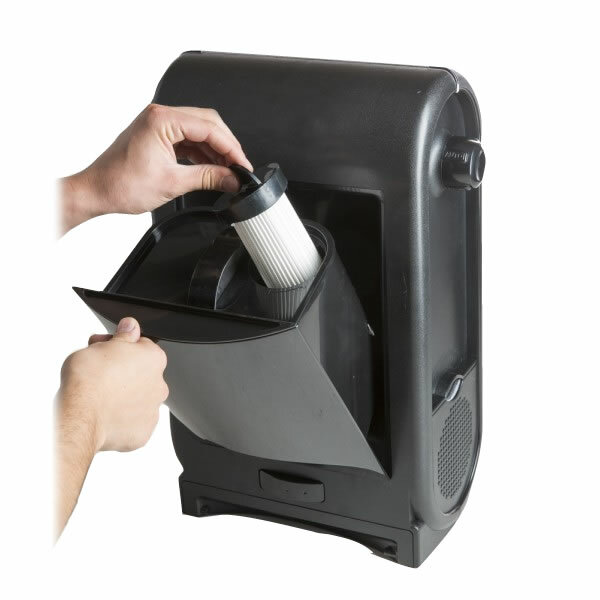 It's an automatic vacuum bin which uses infrared sensors to detect hair, dust and other debris being swept into it. These activate the motor, quickly sucking everything up into the large bin (good for as many as 30 hair cuts). That means no more bending with a dustpan, or sweeping hair into a corner for collection later. Just a quick sweep into your EyeVac after each cut and your salon floor's as clean as it was at the start of the day. 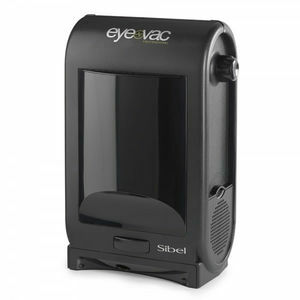 The EyeVac features 2 HEPA filters: one to protect its motor and a second to ensure only air cleaned of dust and hair is returned to your salon. It's also small enough to fit under most styling units, but also smart enough to go on display if you prefer. £106.80 (inc. VAT) Why no VAT? We're a trade wholesaler and quote our prices without VAT to help our VAT-registered customers understand the true cost of a purchase. Rubber-headed broom with built-in squeegee, designed for efficient hair pick-up and can be used to sweep all kinds of surface, including tiles, laminates and carpet. The telescopic handle extends up to 133 cm. Wide broom head with hard-wearing rubber bristles that makes it a doddle to keep your floors swept clean. Replacement exhaust filter for the Sibel EyeVac Vacuum Bin. Replacement pre-motor filter for the Sibel EyeVac Vacuum Bin. Yellow broom handle with a telescopic action that lets you adjust it to suit the sweeper.